Teams and their leaders may have conflicting networking goals. That needn't be a problem, but often is. When it comes to teamwork, the role of team leaders is not only about setting goals and allocating resources, but also organising the work of their team members and forming networks among them, such as who works with whom, where and when. To get their work done, one team might need a leader to coordinate otherwise unconnected team members (for example, with separate, specialised sub-teams such as task forces), while another team might need to be more cohesive, tightly knit group collaboration. The leader, therefore, often walks a tightrope between acting as a broker to channel information and connections from multiple unconnected team members and creating a highly cohesive group to shield the team from distrust. Leaders play a balancing act between brokerage and closure. But this presents a dilemma. In addition to managing the team, a leader also has other aims, such as furthering his or her own career. He or she may use and abuse "the power of networks" to manipulate team members and advance up the corporate ladder at their expense (for example, by "dividing and conquering" and playing sub-teams against each other, or not diffusing information and using it for his or her own advantage). This means leaders might make certain trade-offs for their own or their team's benefit, which can affect their team's performance. Teams and their leaders may thus be at odds, creating a social dilemma. 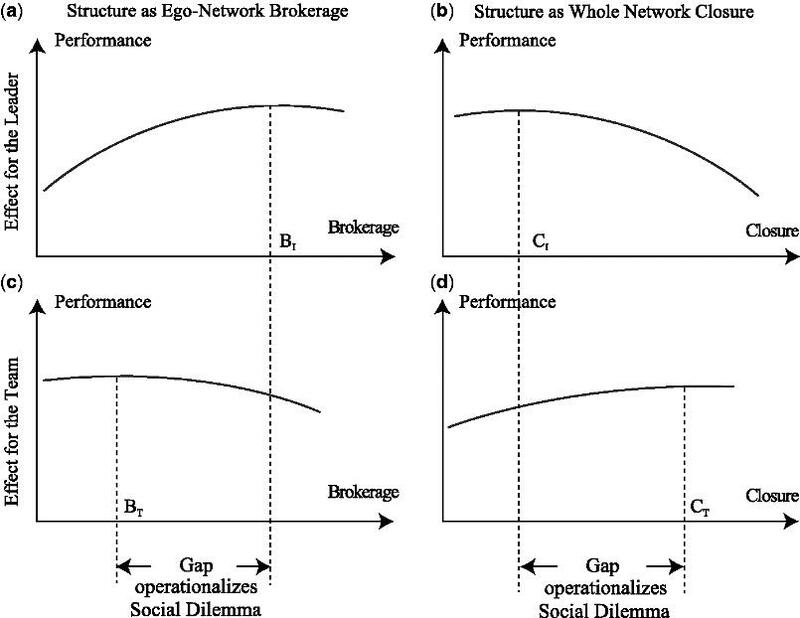 I studied this phenomenon in my latest theoretical research paper with Fabrice Cavarretta and Matthias Thiemann, "Task complexity and shared value orientation: exploring the moderators of a social dilemma in team social networks", to explore the costs and benefits of brokerage network strategies within teams and what we call closure strategies, i.e. maintaining tighter connections to keep the team cohesive. We show that the extent of the dilemma between the two depends on the complexity of the team's work, i.e. how dependent they are on one another, and whether the team is individualistic or collectivistic in its nature. Unlike previous research, our theories focus on the divergence of interest between the team leader and their team, depending on various characteristics of the latter. We will use this figure in future empirical work to try and test it. As shown, the benefits for the leader and the team vary. The gap between the needs of the team leader and those of the team is visible in our chart for brokerage or closure (which can be, in most cases, considered opposites). An optimum point for the leader is never exactly the same as for the team, as seen in Figure 1. When a broker leader (as seen in (a)) performs best, the team's performance (c) starts to decline in performance beyond a certain point. When the cohesive leader (b) performs best, the team (d) is far from its best performance. The social dilemma can be seen in these gaps. Brokered and cohesive teams also have other characteristics to consider, in terms of impact on performance. For high task complexity, when multiple team members are required to work closely together to meet a challenging common goal, the optimum team structure is a cohesive one. In this way, the team members can trust and rely on each other and act quickly. As brokerage by the team leader increases, the team that is heavily reliant on one another to complete a task starts to crumble and the social dilemma – the rift – between the team leader and team increases. For individualistic teams in which team members value the individual's autonomy, brokerage is accepted and even possibly encouraged. Leaders can get away with brokerage and self-serving behaviours in this environment, although it is precisely then that more closure could help the team deal with its challenges. Nationality can have an impact on the individualistic/collectivistic nature of teams. Americans, for example, are more likely to be more comfortable in individualistic teams and other nationalities which are more accustomed to a well-defined group structure, like Japanese, may be more comfortable in collectivistic teams. Team leaders, especially in some contexts such as when there is a high complexity of tasks, quickly find out that networking for self-serving purposes is not a viable option for a successful team, although they may personally benefit from it. Solving the dilemma would imply that the leader actually goes against his or her own interests from time to time or that team members decide that they should work together and put pressure on the team leader. Human resources departments or bosses can also enforce "rules" directing team leaders to focus on the needs of the team or find ways to reduce the tension between the team members and the leader. Organisations can act to ensure that leaders and their teams are both successful through three levers: hiring, developing the right culture and aligning incentives. The first solution should be putting the right people in place, hiring and promoting managers who are aware of these issues and who make the success of the team their own success. The second option is to cultivate a culture that fosters collaboration, reinforcing this culture with training and teamwork exercises for example. Team leaders should understand when there is a problem and make it their duty as a manager is to solve social dilemmas, even if it goes against their own best interests. Finally, team leaders are often motivated people, and aligning the leader's incentives to reflect the success of the team should be a priority. Determining how to best incentivise them – with rewards or punishment – depends on other factors like national and company cultures. Understanding the nature of their teams, their goals and primarily themselves, team leaders need to find the balance between their own networking needs and those of their team to achieve the best possible team performance. Frédéric Godart is an Assistant Professor of Organisational Behaviour at INSEAD. People have been justifiably upset with the Samsung debacle involving their Galaxy Note 7. The last thing in the world that a mobile phone user would expect is a hot hand that turns into a mini fire. Yikes! Are there lessons to learn from this debacle? Yes, there are. I offer four lessons. 1. The first lesson has to do with the decades-old belief that being first to the market with a new product or service gives you a distinct advantage. Thus, everyone races to get the product or service out there. This can mean not enough research for what we will be putting out in the market place. Our enthusiasm for newness overtakes sound operational practices. Remember the insurance company that sold a new policy and went bankrupt because they had to start paying customers unprecedented amounts that no one had bothered to project? Look at Samsung and you see another example of moving too fast for the good of the company. Organizations must value both creativity and efficiency, but not at the expense of good business sense. 2. The second lesson has to do with problem solving. There are many different ways to successfully problem solve. First and foremost: People responsible for solving problems need to be trained in how to solve problems. How many organizations teach their people how to solve problem? Ask your colleagues at other organizations if they have ever been to problem-solving training. Chances are that they have not. This was apparently the case at Samsung. Properly trained people would have known that the problem was actually not solved. 3. Another lesson that is closely related to problem solving that can be learned from Samsung is the need for critical thinking. "Critical thinking" is a defined process to follow that will get you to the right problem or situation to begin with. Again, organizations do not invest in training. In this case, though, they claim that people already know how to do critical thinking because they learned it somewhere in K-12. I have not seen every K-1 curriculum in US schools, but I have found no one who is an educator in K-12 who can verify that critical thinking is learned in our schools. People have not learned critical thinking protocols. Most folks can't even compose a litmus test for critical thinking. Business school professors believe that teaching with case studies teaches critical thinking. Even if that were totally true, I do know it's true that most workers do not have business degrees. 4. A fourth lesson has to do with controlling operational variables. All organizational activity can be bundled into a wide array of processes, such as operational, accounting, hiring and promoting, etc. Many processes are put in place by experienced professionals, top-tier vendors, highly educated consultants, and folks who've successfully followed those processes for years. However, the deal with processes is that unless you review them fairly often to ensure they are still viable, you may be risking a "car wreck." When I worked in a not-for-profit, we performed what was called a program evaluation every year. We looked at every process and procedure from every angle to make sure that all was moving in strict conformance to a set code of activity that achieved the desired results. Needed changes became obvious immediately. Perhaps this technology giant needs to review some of their process. These four lessons were learned by the people in many great organizations in the last year, the last decade as well as the last century. The only thing that pops up missing from time to time is vigilance. We have to pay more attention to critical variables on an ongoing basis. Less scrutiny can be deadly to an organization. WERE THERE OTHER LESSONS TO BE LEARNED? When he first came to our battalion, he gathered all the officers together for a leadership development session. Then he played a video of the classic children's story The Giving Tree, by Shel Silverstein. The Giving Tree describes an enduring relationship of unconditional and self-sacrificing love between a tree and a little boy. In the silence after the video ended, he uttered a simple command before dismissing us: "Be the Giving Tree for your soldiers." Through the medium of a familiar children's story, he charged us to care to about our soldiers more than ourselves. I watched his philosophy of caring yield incredible results in the unit, both in garrison and in combat in places like Mosul and Sadr City. The power of caring has also been proven in the corporate world. Take the example of Paul O'Neill, who served 12 years as CEO of Alcoa before serving as treasury secretary for President George W. Bush. One of O'Neill's first actions upon becoming CEO of Alcoa was to introduce an obsessive focus on worker safety. This act of caring, which raised hackles among members of the board of directors, produced results. Under O'Neill's tenure, Alcoa increased productivity and lowered worker accidents — and grew income significantly. In a study (pdf) involving 69 self-managed teams in a Boston University MBA course, Steven B. Wolff, a researcher and consultant, administered surveys to participants working on a case project measuring, among other factors, their level of caring behaviors. 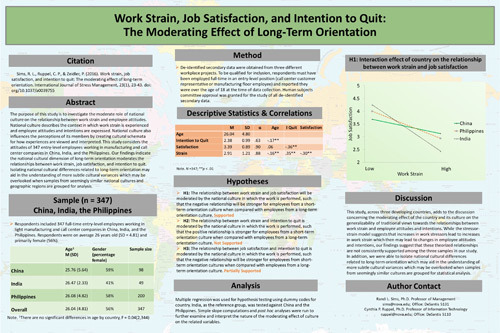 He found that caring behaviors, such as expressing concern over well-being, understanding another's perspective, and speaking warmly to colleagues, generated a sense of safety and trust and were associated with a pervasive and positive impact on satisfaction and engagement, as well as learning and task outcomes. In 2014, a group of Harvard researchers conducted a longitudinal study of 3,200 employees in seven industries. 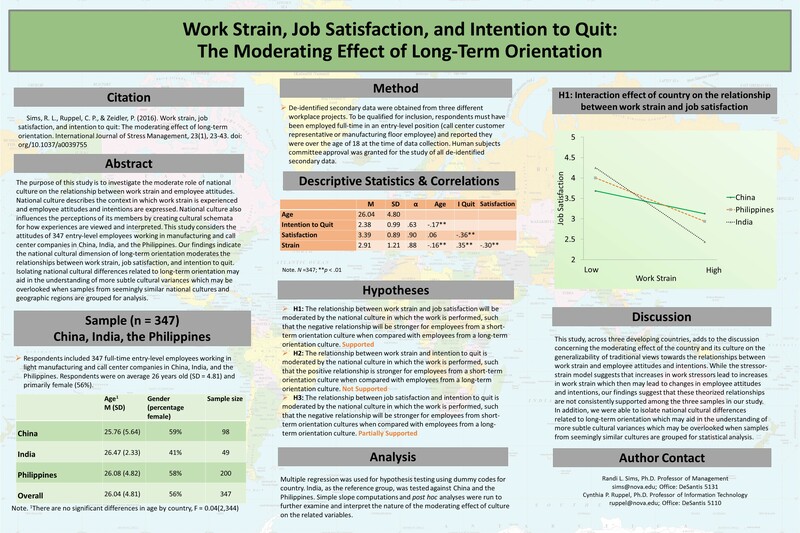 Using surveys and statistical analyses, they found that employees who felt they worked in a caring culture reported higher levels of satisfaction and teamwork, had less absenteeism, and had better organizational results. Of course, caring for business colleagues doesn't always come naturally to leaders. It takes conscious effort and practice. The first step is to recognize that caring — and demonstrating that you care — brings benefits. Hard-core individualists who doubt leaders' need for supportive teams should consider the famous study by Harvard Business School professors Boris Groysberg, Ashish Nanda, and Nitin Nohira. They studied more than 1,000 "rock star" analysts — securities analysts named by Institutional Investor magazine as among the best in their industry over a period of eight years, from 1988 to 1996. They found that when stars switched firms, their job performance fell and they rarely reached the heights of their previous success. The causes of this performance plunge are multifaceted. But the authors concluded that losing the teamwork and relationships at the places where the analysts became stars were important contributing factors. There are, of course, risks to caring too much. A study by Middle Tennessee State University professor Mark C. Frame suggests that the higher up the organization one is promoted, the less his or her care is valued. Leaders should combine caring with some level of assertiveness and independence. Although our sergeant major cared about his soldiers, he still put them through tough training. Yes, he made us watch a video about The Giving Tree. But when a soldier required discipline, the sergeant didn't hesitate to mete it out swiftly. Augusto Giacoman advises companies on people and organizational issues for Strategy&, PwC's strategy consulting business. He is a director with PwC US based in New York. Hindsight is 20/20, right? It's easy to find ourselves in situations where if we had just taken the time to be more thoughtful about what we said or how we said it, things could've turned out a lot differently. We've all had our fair share of regrets and fair share of thinking we were in the right. So we talked to seven WeWork members about their biggest takeaway from communication mishaps and how to approach conversations with wisdom and tact. Question: What's the biggest lesson you've learned from a communication mishap? The funny thing is no matter what processes and systems you have in place, there are always going to be mistakes. The best thing you can do is learn from it and own it. Being genuine is how you build trust for the next conversation. I've learned throughout my life that bottling in your feelings can eat away at you. Know your truth. Speak your truth. Find a support system that can encourage and motivate you to fight for your dream. People will always remember what you didn't say. Be willing to forgive and forget what you do because people naturally want to forgive and forget—but it's hard to forgive someone who hasn't acknowledged their own faults. We're naturally empathetic to those who show remorse. Same goes for companies. Silence is deadly. When I was just getting started, I was working with a client where I purchased a considerable amount of sample material. The project didn't pan out, which was fine, but I had considerable costs, and we didn't have an agreement to deal with it. We worked it out, but I knew moving forward I needed to lay out the expectations from day one. As CEO, you have to over-communicate, repeat mantras, and regularly talk through positioning and focus—typically team members need to hear it 20 times before it sinks in and it makes sense. Also, get the big picture right and the secondary messaging will follow. Language is not always a barrier, but when it comes to culture, that's something important to consider when you are doing business with different countries. Things are perceived differently sometimes. When I am communicating verbally with clients and we agree on something, I always follow up later with an email documenting what we agreed upon. It is a great way to verify that my client and I are on the same page, and saves me from costly errors due to miscommunication and bad feelings towards my clients.